Ellijay, North Georgia is a charming little town in the North Georgia mountains near Blue Ridge River. 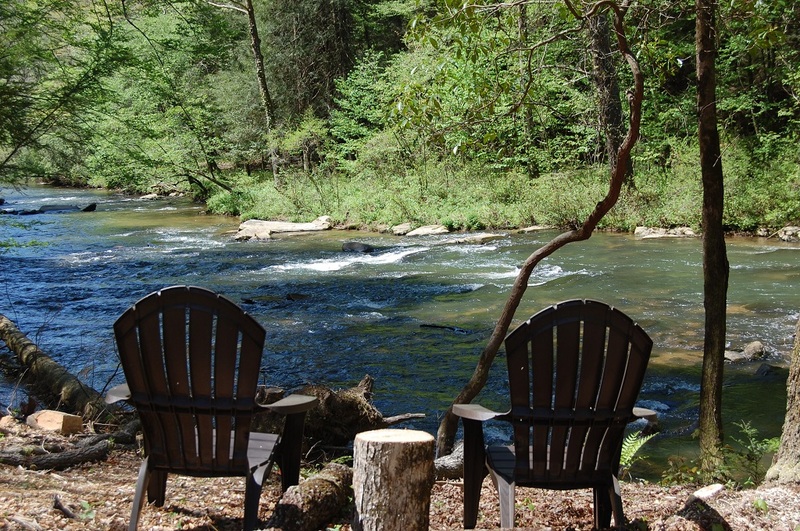 The word Ellijay river means “town of seven rivers”. This town has it all, antique shops, great restaurants, town square, scenic mountains, trophy trout streams and a short driving, will call back later just an hour and fifteen minutes north of Atlanta. This cabin exceeded all my expectations. It was beautifully decorated and very convenient. 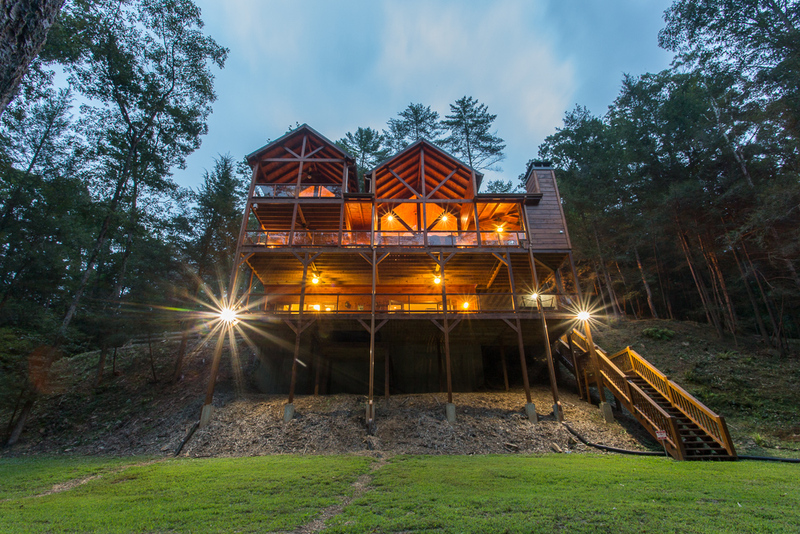 The cabin had plenty of room inside and lots of spacious porches to enjoy on the second and third floors. It was very clean and the beds were so comfortable. The stream was amazing. We spent most of the days relaxing in the water and watched the kids tube and fly fish. 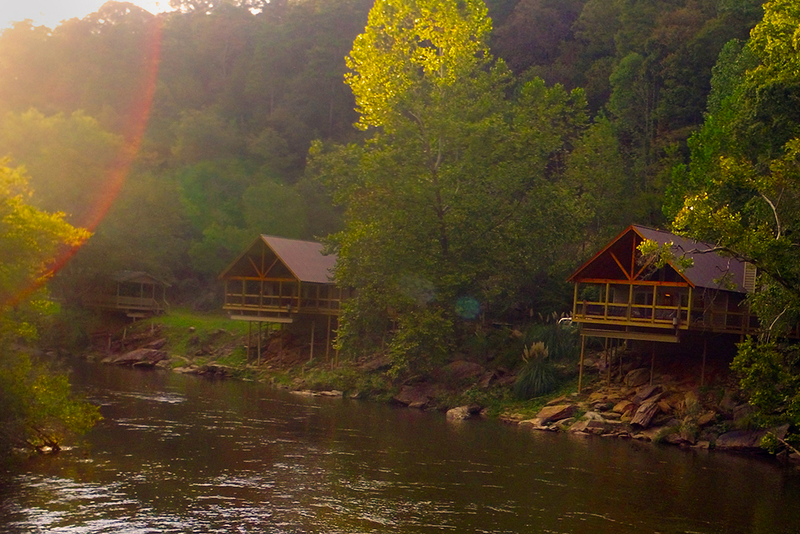 We will be booking this cabin again and I highly recommend it to anyone. The cabin was everything the family was looking for to get away for the weekend. It was decorated beautifully and had all the amenities you would need for the kids and adults. Loved sitting on the porch by the fireplace and the fire pit by the river. The kids enjoyed their own play area! The owner was very nice to recommend places to eat and what activities to do in the resort. Hope to come back in the summer to do some tubing and kayaking! Would recommend this beautiful cabin to anyone!! Loved it!! !